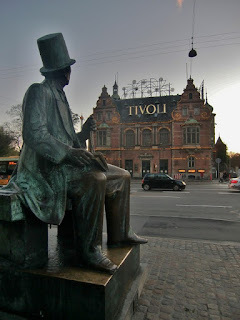 There have been a couple of stories making headlines lately that will make even the seasoned travelers shake his or head in disbelief. You could call these examples tourism mishaps. Let’s begin in Yellowstone National Park. 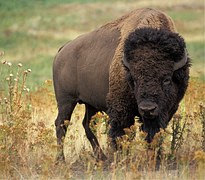 In early May, foreign tourists to the National Park (located in the United States) found a baby bison. Wildlife sightings are incredibly common, so it shouldn’t be a surprise that a baby bison was spotted. What was surprising - the tourists apparently believed the young calf was freezing and in need of attention. According to media reports, the tourists somehow loaded the calf into their car and then drove the animal to the nearest ranger’s station. The tourists were cited for their actions and sadly, the calf had to be euthanized. Thousands of miles away on the other side of the globe, is Koh Tachai island in Thailand. This island is defiantly a bucket list destination, or at least it was. Officials from the Department of National Parks, Wildlife and Plants Conservation announced that the popular island will be shut down to visitors indefinitely. Authorities say overcrowding and the “degradation of natural resources and the environment” have forced the closure. Even the rare blue coral had been damaged by tourists. 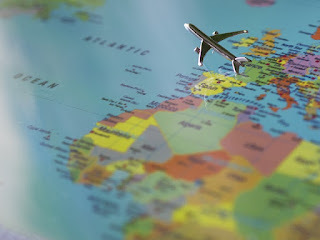 Whether you are traveling to an International Vacation Home Exchange in a neighboring state or overseas, it is important to remember some common rules to travel by so you don’t cause any disruptions (or mishaps). This is especially true if you are traveling to a foreign country where customs and laws may differ. Obviously, you should clean up after yourself and you should probably not load up a wild animal into the back of your car. But there are other rules that you should travel by while visiting a different country so that you don’t have a tourism mishap. Do your homework. Cultural customs differ from country to country. For example, it is illegal for me (a woman) to drive a car in parts of the Middle East. It may also be offensive for me to wear shorts in some countries. So do your homework on customary behaviors and even gestures. Some gestures that may be totally acceptable in your country may be completely offensive in other countries. Dress accordingly. If you are planning to visit a monastery or church, dress accordingly. I remember during a visit to the Vatican and I spotted tourists wearing cutoffs and tank tops. If you plan to visit a graveyard or church, leave the bathing suit at home. On those same lines, it is customary in many cultures to remove shoes when entering homes and religious structures. Patience is key. If you are from the United States, you know that we tend to have a faster pace compared to other countries. 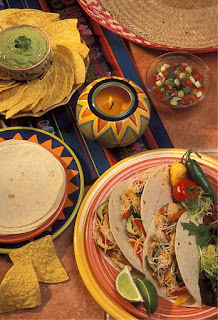 Dinner, for example, is maybe a 30-minute event in the U.S. In Italy, dinner is more like a 2+ hour affair. Have patience and enjoy every minute of your visit, even if you have to wait a few extra minutes (or hours) for your entree to arrive. Look don’t take. It is a felony in most countries to take artifacts. Here in the United States, if you are caught taking an artifact or historical item, you could go to prison. If you are touring a historical site and happen to see an artifact, look but don’t touch or take. Know the rules of the road. If you plan to rent a car to go and from your home exchange, be sure you know what side of the road you are supposed to drive on. In some countries, it is customary to drive on the left side of the road. The most important rule is to respect and accept all culture customs. These customs may seem weird to you, but that is okay. Half the fun of traveling is that you have an opportunity to get out of your comfort zone. Just have fun and leave the baby bison alone (if you happen to stumble across one). And as always, safe travels. My husband always likes to say, “Lisa would drive 100 miles to see the World’s Biggest Ball of Yarn.” He’s probably right on that. Not that I have a strong affinity for yarn but because I actually find these “off the beaten path” attractions rather interesting. Don’t judge. Don’t get me wrong, I stared in awe at the Eiffel Tower, Colosseum and Big Ben as much as the next gal but some of the lesser known sites around the world have actually proven to be quite memorable. 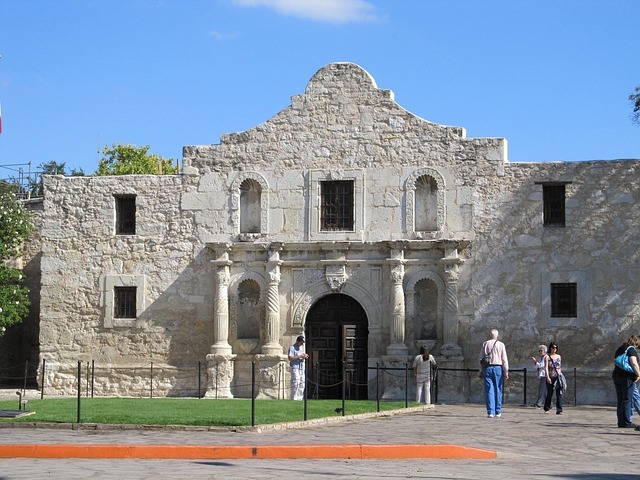 Here are some of my favorite “not-ready-for-prime-time” attractions. This is a real thing. This museum is located on the grounds of Leeds Castle. It’s actually quite an interesting little museum showcasing dog collar relics (hopefully I haven’t lost you yet). Some of these collars are from as far back as the 15th century. 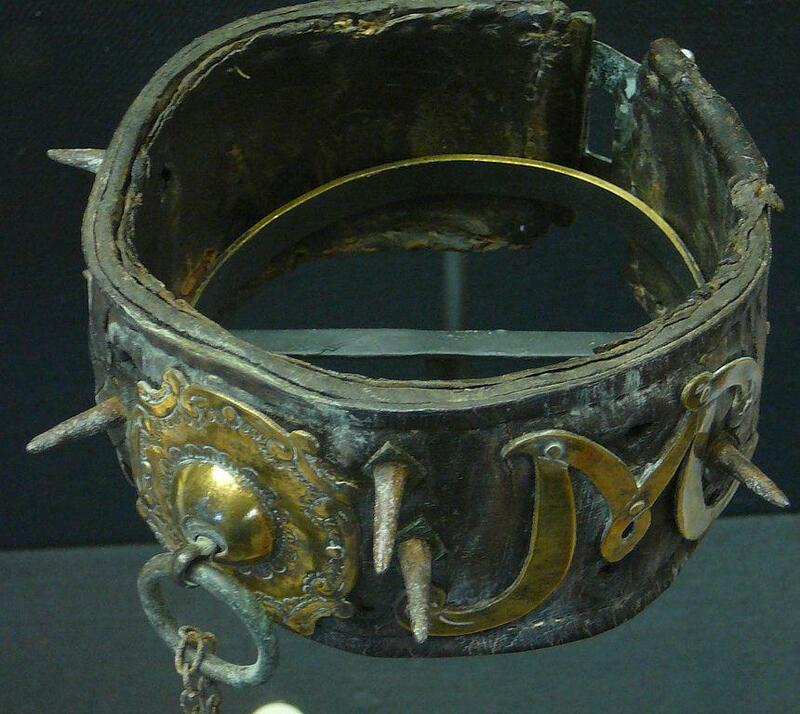 Many of the collars were made of thick iron covered with long spikes and were worn by hunting dogs for protection. 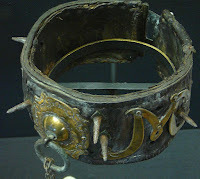 Other collars were ornate and less functional. Some bear the arms of their royal owners and were made of velvet or leather and adorned with jewels. Interesting, right? 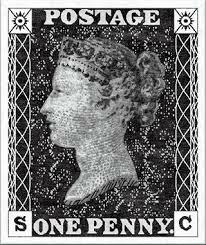 Bath’s Post Office was once located where this museum now stands and is where the first recorded posting of a Penny Black took place. The Penny Black is the world’s first adhesive postage stamp used in a public postal system. The museum contains many artifacts including quills; ink well, letters, postcards and post boxes. A few years after visiting the museum my kids received a trivia book for Christmas and one of the questions was “Where was the first postage stamp used?” My kids proudly shouted out the answer. Now if this question turns up on my son’s SAT exam then it was well worth the 10 pound admission. I’ll admit this one was a bit of a circus attraction but we just happened to be walking by during our visit to Wales so we stopped in. This house is as small as promised with the dimensions being a mere 10’ x 6’ x10’. If it makes you claustrophobic just thinking about it then imagine how its last tenant, a 6’ 3” fisherman, felt. 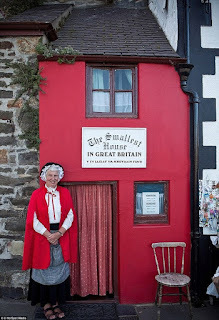 Thousands of visitors each year from around the world actually come to see this tiny little house and some even purchase a cheesy replica as a souvenir (I keep it on my bookshelf). Unusual travel experiences aren't limited to just what you see. Where you choose to stay is another way to add uniqueness to your next holiday. International Vacation Home Exchange offers several property options that probably aren’t what first comes to mind when you think of luxury home swap. Click here to view this yacht in Newport, RI, this luxury schooner in Turkey and this boutique hotel in Phuket, Thailand . These are just a few of the properties available for home exchange through IVHE. International Vacation Home Exchange has luxury properties located in 70 countries around the world and that includes Texas, who has earned the bragging rights as Home of the Biggest Ball of Yarn. International Vacation Home Exchange has properties all around the globe. If you want to visit any of these properties, you are going to need two things: a sense of adventure and your passport. Just one simple mistake can turn your tropical dream vacation into a staycation at home. And these days, you can’t simply wing it. Security is incredibly tight at any border in any country, so be sure you get things squared away with your passport well ahead of your vacation. Here are common mistakes that travelers make with passports. 1) Missing Passport. If you rarely travel abroad, it could be easy to misplace your passport. Especially if you have moved recently. The worst thing that could happen is your flight is departing in a matter of hours and you can’t find your passport. If you know where yours is at (mine is in a safety deposit box) then continue reading. If you don’t know where your passport is at, stop reading and go find it. 2) Forgetting to renew your passport. Depending on what country you reside in, you will likely need to renew your passport every couple of years. Some countries have rules that state (in fine print) that passports must be valid for six months or more. If your passport expires a few days, or even months, before your departure date, you will not be able to enter the country you’re trying to visit even with a birth certificate, driver’s license, blood sample, and note from mom. Bottom line, check the expiration date to your passport. If it is close to expiring, time to get it renewed. 3) Waiting too long to apply or renew your passport. If you live in the United States, it can take anywhere from six to eight weeks for the government to process your application for a passport once they receive it. You can expedite the process, but it is going to cost you. It can also take several weeks if you are simply renewing your passport. Plan accordingly. 4) Errors on your application. If you have any mistakes on your application, your request for a passport may get denied. You will then have to resubmit an application. Crossing out errors on an application is a big no-no. Best advice is to fill out your application using an online form and then printing it. 5) Conflicting names. If you recently got married and changed your name on your driver’s license, then you will need to change your name on your passport. If there are conflicting names between your license and your passport, you may not be able to enter the country. You may be able to change your name on your passport for free. Again it depends on the country you reside in. 6) Not enough blank pages. This one surprised me. Some countries require that you have at least two to four blank pages in your passport. These pages are for customs stamps. This rule is important if you are a frequent international traveler. If you are, let me just say I am so jealous. 7) Wait, don’t forget about the visa. Are you traveling to the Summer Olympics in Brazil in August? Or checking out the Great Wall of China? You will need more than just your passport. Several countries require that travelers also have a visa. Obtaining and visa is whole process in itself (and a costly one). I even wrote about it a few months ago. If you have questions regarding visas, you can reach out an embassy or do some research online. 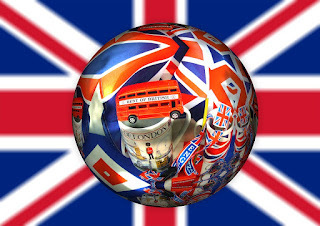 There are companies that will help you through the process of getting a travel visa. I should warn you that if you opt to use one of these companies, do your homework. There are scammers out there on every continent that will try to rip you off. Be sure you work with a reputable visa company. Best advice is as soon as you book your vacation home exchange and your plane tickets, to double check and make sure that your passport is up-to-date and not expired. And as always, safe travels. 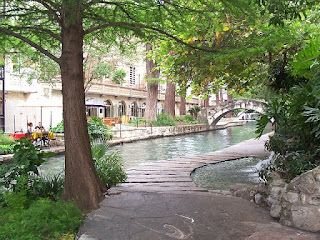 Thank you to guest travel writer Carla Pruitt, follow Carla on Twitter at @crobscarla. Have you met that special someone and want to take it to the next level? Nothing will take it to the next level faster than traveling together. Though traveling together can be one of the most romantic things couples do, it can also try patience and highlight any existing or potential issues. Traveling was such a crystallizing experience for my cousin, he would take a woman he started to feel serious about to Mexico to watch her reaction. While he made sure that the accommodations were first rate, he would also take his companion out on the streets to see how she reacted. If she incessantly complained, “It’s hot; it’s dusty; I want to go back to the hotel,” this was usually a good indication that he and this woman would not get along—he loves Mexico and wants to retire there. 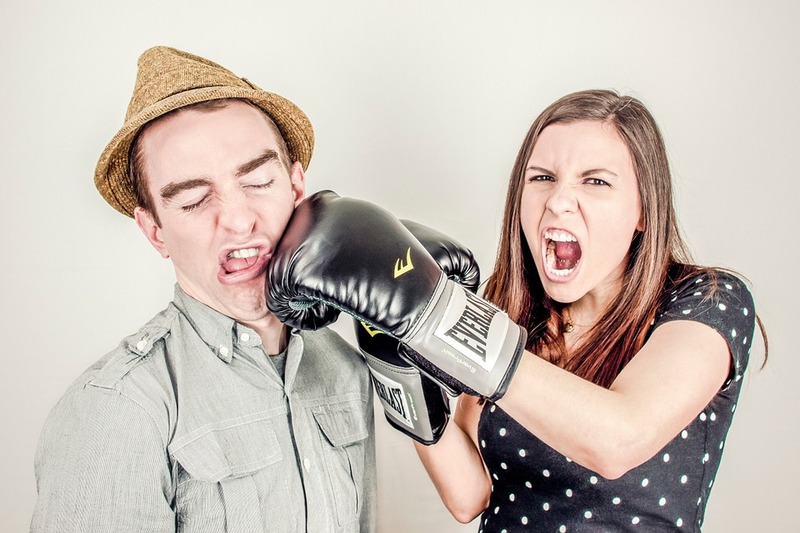 Does Your Companion Mistreat Service Staff on Vacation? I learned the hard way to watch carefully how your traveling companion treats servers, housekeepers, and anyone who takes care of you. Though I had seen an old boyfriend treat waitresses poorly, it was only magnified when we traveled; this is a bad sign. When we were dating, I watched my husband with interest when I felt he was too demanding with staff, but I also saw him tip very well when we received great service—this was a good sign (though I’m still trying to get him to be nicer overall). Tipping well shows that your companion doesn’t want something for nothing, and respects the service he receives. We experienced great service from a waiter in Mykonos and pool attendant in Puerto Vallarta in part because of my husband’s good tipping. Is Your Companion the “Anything Goes” Type on Vacation? I didn’t know this phenomenon existed until I was in my thirties. Some people are basically mild-mannered and law-abiding at home, but when they’re on vacation anything goes. This includes drinking, trashing accommodations, and promiscuity never even considered in day-to-day living. Everyone needs to let loose a little on holiday, but consider this: if your partner’s personality can change that much on holiday, he already has it in him to change drastically in other situations. Is Your Companion Too Controlling on Vacation? While everyone appreciates someone taking initiative on vacation, someone who is too controlling is trouble. Does your companion ask what you would like to do on vacation? Does she have to control the itinerary down to the hour? 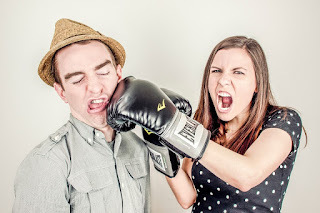 If you make a suggestion about what to do does your companion get irritated or angry? Beware. If You Are the One Paying for Most of Your Vacation, Does Your Companion Offer to Pay for Anything-Even If It is Just the Housekeeper’s Tip or A Cup of Coffee? Paying even for something small shows that your companion wants to contribute and is grateful for what you are doing (paying for a great holiday). Unless it is specifically understood that one person will pay for the entire trip, if your companion isn’t willing to make a small monetary gesture, this could be trouble. Does Your Companion Incessantly Complain? There will always be something that doesn’t go according to plan on holiday. Can your companion roll with a change of plans or inclement weather? If your companion complains constantly even when he is supposed to be having fun, this is an indication of a lot more complaining yet to come. Can Your Companion Relax on Holiday? Does your companion have to be engaged in an activity on holiday every spare moment? While it is good to be active and enjoy your surroundings on vacation, if your companion is unable to relax, this can be very stressful. If she can’t unwind on holiday, how will she do so in day-to-day life? Is Your Companion a Social Media Junkie on Vacation? Social media can be a real enhancement on vacation; sharing photos with friends or just keeping a travel journal can be a lot of fun. However, if your companion is constantly engaged with others on the computer, and not you, will he be able to give you his undivided attention ever? Is Your Companion an Incessant Selfie Taker? Let me just say up front that the younger and cuter your companion is, the more leeway should be given here. But after a while, it gets irritating. Is “look at me in front of The Acropolis” more important than The Acropolis? It might be something to consider . . .
Are you ready to take it to the next level in your relationship and impress that special someone? IVHE can help. With luxury home exchanges all over the world, your companion is sure to be impressed. See how this works, and read testimonials. Summer is almost here in the Northern Hemisphere. Soon, the kids will be out of school and millions of people will be traveling to vacation destinations all around the globe. If you haven’t booked your International Vacation Home Exchange yet, you may want to here soon. The same goes for flights, rental cars, and passports (required if you are traveling abroad). Though traveling is exciting for anyone, it can also be incredibly stressful. I can almost feel a panic attack coming on just thinking about security lines and currency exchanges. While you can’t avoid the stress from standing in line at the ticketing counter, there are some things you can do to help mitigate your stress level while traveling this summer. And it will be a crowded and busy travel season, so be prepared. Go to the airport early. The days of showing up 30 minutes before your flight are over, especially if you are flying through the United States. Already, there are reports of gridlocks in the security lines at all major U.S. airports. This is only going to get worse before it gets better. I would recommend that you show up at least 2 hours for your flight regardless if you are flying domestically or internationally. If you have kids, add another half hour to that 2-hour recommendation. Get your seat assignment as soon as possible. When you book your airline ticket, look for your seat assignment. If it is not located on the itinerary, call your airline and get a seat assignment. Most flights will be booked. If flights are overbooked and you don’t have a seat assignment when you show up to your gate, you may not be getting on the plane. Make a checklist. It doesn’t matter if you are veteran traveler, you will likely forget something during the rush to the airport. 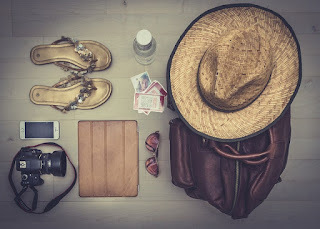 So save yourself the hassle and make a checklist of everything you need to bring on your trip. And pack a few days ahead of your departure date if you can. 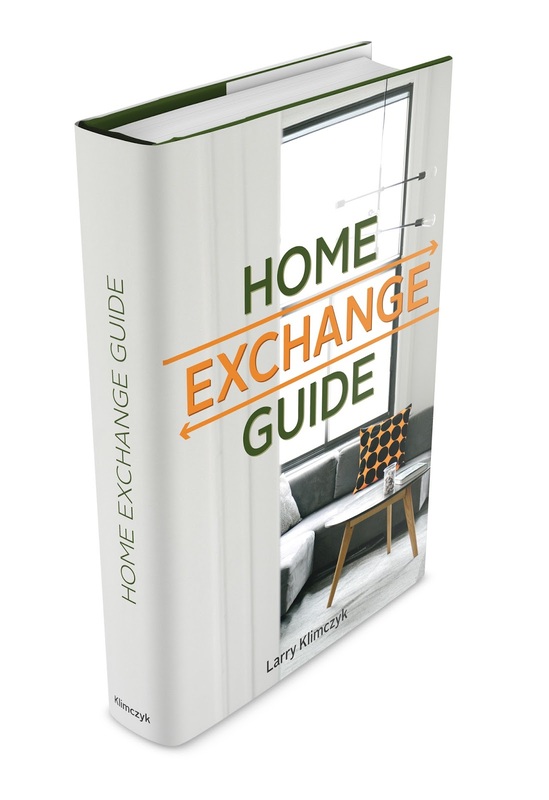 Check in with your International Vacation Home Exchange Coordinator. It never hurts to check in and make sure your reservations are set and everything (including payment) is taken care of so you don’t have any surprises when you arrive at your destination. Do your airport homework. Yes, you have homework. If you are flying through a major airport (i.e. LaGuardia, Heathrow, O’Hare) make sure you know where you need to go once you arrive. Look at online maps to figure out where the ticketing counters, security checkpoints, and rental car kiosks are located. This is especially important if you have never flown through these airports. 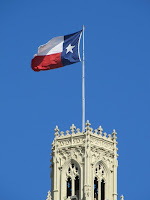 Check out the local news outlets at your destination. As your departure date approaches, it never hurts to know what is going on in the city you are traveling to for your vacation. A quick Google search will bring up the different media outlets for that area. You want to look at things like the weather and if there are any big events (or conventions) that may be going on while you are visiting. Take care of yourself. This is extremely important. Stress can eat away at your immune system, leaving you susceptible to viruses. No one wants to be sick for his or her vacation. As your trip approaches, be sure to take care of yourself. Be sure you are eating a healthy diet and getting plenty of sleep at night – both are easier when staying in a spacious vacation home. And as always, safe travels to wherever you may be headed this summer. Thank you to guest travel writer Carla Pruitt. You can follow Carla on Twitter at @crobscarla. Note - for last minute booking view the IVHE Prime Time properties. With a day of horse racing, fancy hats and hanging with the Royals, what’s not to love about Royal Ascot. Its history dates back to 1711 when it was founded by Queen Anne and has been a major event on British social calendars ever since. This epic event is held in Ascot, Berkshire with this year’s festivities running from June 14 to June 18 offering the best in thoroughbreds, trainers and jockeys the world has to offer. We had the opportunity to experience this gala event for ourselves and the day proved to be every bit as memorable as we imagined it would be. Here’s a look inside what this grand affair has to offer. We planned on attending the race with a large group of friends so a few of the girls and I decided to get the full experience and “hire” a hat from a well-known millinery shop in Slough. Margaret, the shop owner has been in the hat business for some 30 years and has the largest selection of hats in the UK. 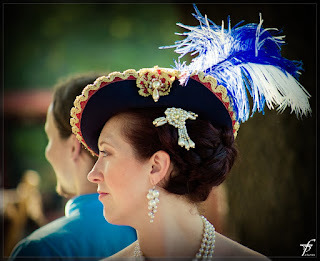 She has provided many of the hats worn to Royal weddings and other high profile events. Appointments need to be booked in advance and we were told to bring our dress with us. Her shop offers a breathtaking display of the most beautiful hats in every color and style imaginable. Margaret has a very strict set of rules in her shop that she demands be closely followed. We were told not to touch the hats, not to walk around and to just stand by the door until it was our turn. When they were ready for us, Margaret slowly made her way over. One-by-one she examined our dresses, then left to fetch “The” hat. She solely made the decision on the hat with no input from us, told us how it was to be worn, took full payment and told us when to collect the hat and when it was due back. It was far from a “warm and fuzzy” experience but we were happy to listen to her expertise and it certainly made for an interesting afternoon. Since we weren’t dining within the venue and somehow never received an invite the Queen, we joined the many other attendees and arrived early with picnic lunches to enjoy on the grounds. Other options would have been to purchase picnic hampers from the venue itself or arrange to have a picnic fully catered. 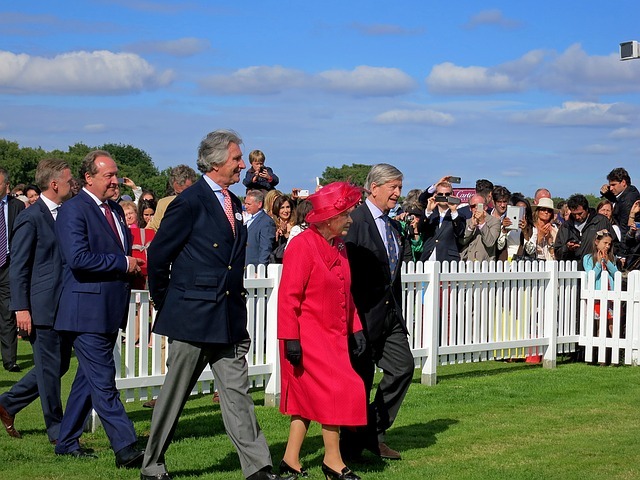 If you’re looking for an opportunity to see the Queen in person, then Royal Ascot is your best bet. The Queen arrives each day of the race in a horse-drawn carriage. We had to battle the crowds a bit but we were lucky enough to get about 15 feet from the Queen. It’s always an amazing experience seeing any of the Royals up close. Even though no one in our group hit it big on the horses that day it still proved to be an unforgettable day. 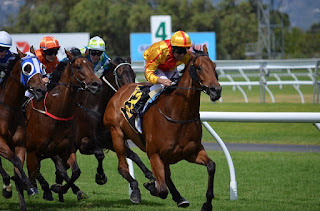 Add the Royal Ascot to your Bucket List and book your next luxury home exchange with International Vacation Home Exchange. Click here to choose your favorite IVHE English property, then grab your favorite fascinator and hope for better luck on the horses than we had that day. Note - dates vary each year, typically Royal Ascot is during the middle of June. The airline lost your luggage, the hotel can't seem to find your reservation, you left your passport sitting on a deli counter, and you contracted traveler's diarrhea. That's pretty much the worst case scenario for any trip. Luckily, it is incredibly improbable that you would ever have to deal with a laundry list like this. However, even one of the items on that list can thoroughly derail a holiday. If you don’t believe me, just take a glance at these vacation horror stories. What is a traveler to do? Well, there is no foolproof way to guard against the perils of travel, but there are a few tips for you to keep in mind that just might help you prevent - or at the very least diminish - a vacation emergency. This is a great rule of thumb for any wary traveler. Whether through some fault of your own, a robbery, or some kind of freak accident, the possibility exists that you might become separated from your identification somehow. If you lose your passport, you will want to alert authorities due to security concerns, but your more immediate concern will probably be how the heck you are going to get home. 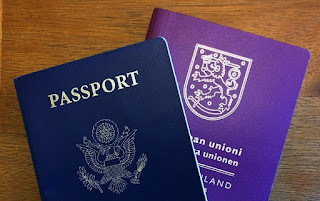 Thankfully, there are consulates around the globe that are dedicated to helping with just these issues, but to make the process easier you should always ensure that you carry a SEPARATE form of ID somewhere when you travel. If you keep your ID and debit card in your wallet at all times, make sure you have a passport or some other form of government issued ID in a separate location, along with some cash or a credit card, in case of an emergency. In short, don’t put all of your eggs in one basket – you never know when you might lose the basket! This tip will come in handy if you find yourself in need of some help from the home front at any point during your travels. When a vacation emergency strikes, you will be very thankful if you have a designated helper. This person should be a very trusted friend or family member, to whom you would feel comfortable entrusting personal information. Make an arrangement before you travel, informing your designated lifeline of your itinerary and all necessary info. Ensure that they are comfortable with dropping everything in case of a real emergency. You may need them to call airlines to make arrangements, enter your house to get documentation, or to otherwise be there as a coordinator from the home base. Hopefully, you’ll never need to use your lifeline, but you might sleep better knowing that you have one. Whether you are suddenly ill or some emergency calls you away from your vacation early, you may someday need to change plans on a dime. Make sure that before you disembark you have collected all of the info you might need to get home – from the airline help desk number to the rental car information – all in one place and easily accessible. With everything in one place, if you find yourself needing to change your arrangements, you can do so seamlessly, without having to track down contact or travel information. 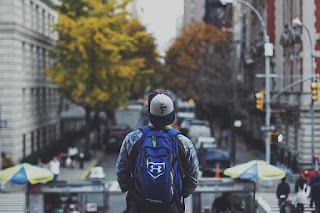 Of course, most of the time your trip will go off without a hitch (or at least sans vacation emergency), but following these three tips will help ensure that, should something unexpected occur, you avoid a major headache and get home safe and sound. Those who are particularly concerned may even consider travel insurance. You should be focused on enjoying your trip, so make sure you prepare well in advance and you will be free to relax without interruption or worry. IVHE note - no body likes problems while on vacation, but having a nice vacation home to relax in when thing go wrong can certainly help make things better. About 5 years ago, I decided to try this crazy thing called running. I was stuck in a fitness rut and was looking for a change. So I challenged myself to train for a half marathon. Now 5 years, a full marathon, and 30+ half marathons later, I am still running. Needless to say, I fell in love with this sport. After a rough day at the office, I can just throw on my shoes run for miles and miles. It was therapy. Some people paint; some people race cars. I run. I’ve been through at least 2 dozen pairs of running shoes and have lost a number of toe nails. Once one race is done, it is on to the next race. It is the perfect hobby for my little fitness soul. My husband also developed an addiction for running. At first, we would participate in local race events around Northern Utah. Soon, we found ourselves at start lines for races all across the United States. We have crossed the finish line in places like San Francisco, Portland, Lake Tahoe, Miami, Las Vegas, New York, and Phoenix. We use running as an excuse to travel the country (and one day the world). 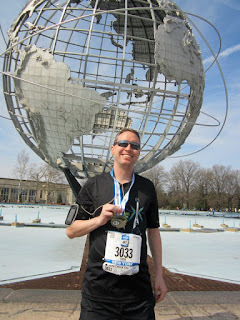 In fact, my husband was recently accepted into the New York City Marathon in November. We have our request in for an International Vacation Home Exchange for what will likely be a fun trip to the Big Apple in the fall. We aren’t the only ones who use running as an excuse to travel. In fact, cities around the globe will spend money to host big running events. They will also strategically create race courses that will give runners a unique experience. New York, for example, will shut down streets in downtown, just so runners can inhale intoxicating sights of the city. San Francisco’s marathon will take runners across the Golden Gate bridge. 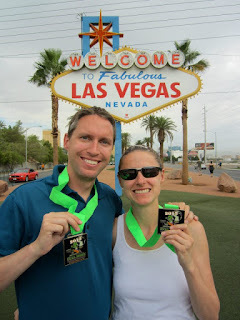 When I ran the Las Vegas half, the entire strip was shut down to vehicle traffic. I got to run the Las Vegas Strip at night. It was an amazing, amazing experience (and highly recommended). Don’t run marathons? No problem. Many of these events also have a half marathon and 5K available. Now, I should mention that traveling to run a race does take a little planning. First, you want to make sure that you arrive a day or two before race day. One reason is because you want to be sure you get your race packet. More importantly, you want to make sure your body is acclimated to the time change and altitude. Altitude sickness can sideline even the most seasoned runners, so plan accordingly. On those same lines, if you are running a full marathon, experts do caution that you probably shouldn’t fly home the next day, especially if you are flying internationally. You want to give your body at least a day or two to recover. If you have questions, just talk to your doctor. If running isn’t your thing, no worries. There are other hobbies that can take you places all around the globe. And I can guarantee there are home exchanges in these places. Just talk to an International Vacation Home Exchange coordinator. And as always, safe travels. I had the privilege of visiting Lucerne and Mt. Rigi in 1993. It was the quintessential Swiss experience—one which still lingers with me. Lucerne is located on the northern end of Lake Lucerne. 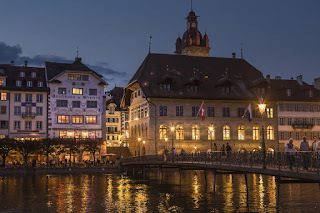 Surrounded by a medieval wall, the turreted buildings and famous covered bridge, Kapellbrϋcke, make Lucerne a pleasure to visit. In fact, it was so charming, I was content just walking around town, and felt no need to buy anything but a coffee and pastry. After enjoying a stroll around Lucerne, make sure to visit nearby Mt. Rigi. Something unique about Mt. Rigi is that there is a train going all the way to the summit! It is a wonderful ride, and the scenery is breathtaking on the way up as well as at the summit. After a ride up, I and my companions hiked down Mt. Rigi. Make sure and wear comfortable shoes if you chose to do this; the hike is steep. I still hear my Swiss hostess exclaiming, “Die Sona bludet” (Sona is bleeding) when I showed her my torn-open, blood blisters. If you are lucky enough (as I was) you could be treated to a rest area on the way down Mt. Rigi where an alpenhorn or alpenhorns are playing, and a hot coffee with a shot of the good stuff is served (by good stuff I think you know that I mean alcohol—what alcohol in particular, I am still unclear to this day). All the way down Mt. 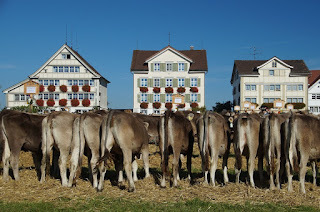 Rigi were light brown cows with dewy, soft, expressive, and somewhat imploring eyes. The sound of cowbells is to me the sound of Mt. Rigi. I don’t know how the Swiss and Switzerland do it—though a path has been traversed numerous times, it can somehow appear as if you are the first visitor there—pristine and untouched. The same is true of Swiss cities—both the French-speaking and German-speaking. 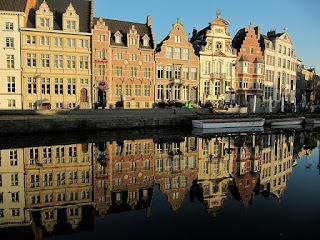 It is as if a centuries-old place was just built recently—neat as a pin and ever inviting. Another wonderful thing about Switzerland is that it has something to offer every season of the year. World-class skiing, idyllic countryside and towns, and friendly residents beckon year-round. Is a visit to Switzerland in your future? International Vacation Home Exchange has several luxuryhome exchanges available. Plan your ski vacation or simply relax in the summer. See how it works. Whether you’re taking that dream vacation, visiting the grandchildren or playing in a big golf tournament chances are you’re going to need to board a plane to get there. Long flights on crowded airplanes probably aren’t tops on your list of ways to spend your retirement years but more often than not it’s a necessity. Here are a few tips for senior travelers to help make your next flight a little more tolerable. 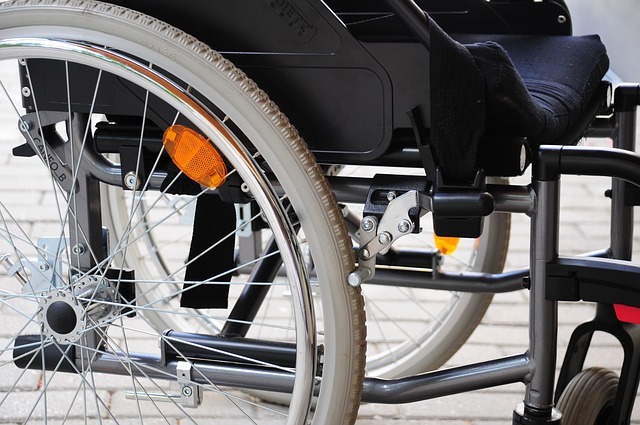 Arrange for Wheelchair Assistance Even if you don’t normally require a wheelchair or any special assistance you can arrange to have a wheelchair ready for you at check in and to use again after you reach your destination. I always make wheelchair arrangements for my mother when she travels to visit us. She is fully able bodied but traveling in her 80s I don’t want her to have to navigate through an airport and walk long distances before boarding her flight. This is a free service offered by the airlines and they have always been more than happy to make these arrangements for me. This will afford you the luxury of having assistance at baggage claim, be able to board early and the peace of mind that the crew will check on you during your flight to ensure you don’t have any issues or difficulties once in flight. It’s well worth the phone call. The low cabin humidity is very dehydrating so it’s important to be sure to drink plenty of water during your flight. This will also help minimize swollen legs and ankles. Try to limit your intake of alcoholic beverages and caffeinated drinks as they tend to increase dehydration. When choosing your seats, try to sit as close to the front of the plane as possible so you can easily get on and off the plane quickly and easily. Choose an aisle seat so you can get up often without disturbing other passengers. Whenever possible, book seats with extra leg room. It’s worthwhile to purchase a pair of airplane socks. The compression helps with the circulation in your legs. Once you arrive at your destination lie down and elevate your legs for a bit if possible. Try to frequently stand up and walk up and down the aisle once you’re in flight. For times when it’s necessary to stay seated with your seatbelt fastened, be sure to wiggle your toes and stretch your legs. Don’t let the thought of having to get on a plane discourage you from enjoying your retirement years. International Vacation Home Exchange has luxury properties in 70 countries around the world including many luxury golf and beach properties to enjoy. Click here to choose which destination you’ll be jetting off to.